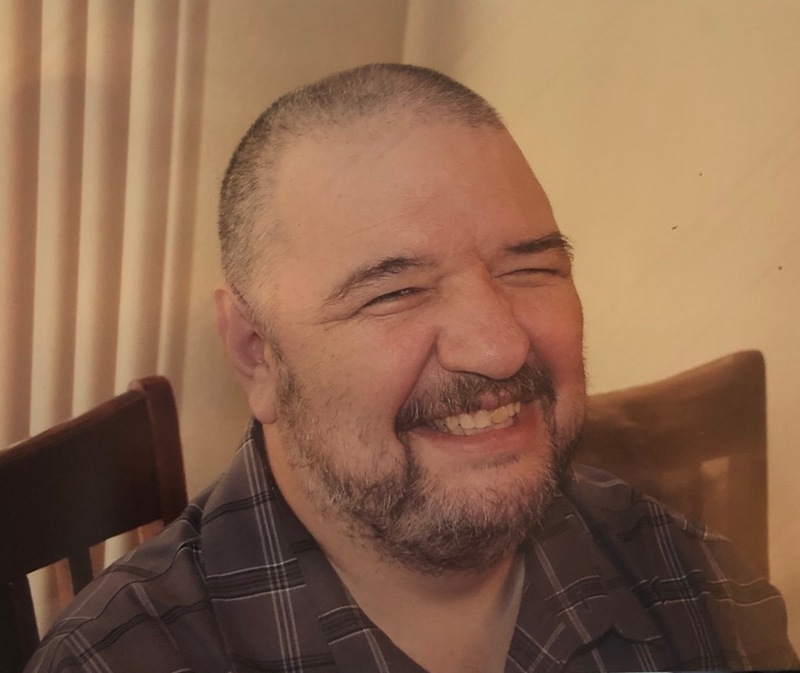 Vancil A Smith, 53, of Terre Haute, Indiana and formerly of San Angelo, TX, was greeted at the door of heaven by his family members and God on March 24, 2019, after a long hard fought and somewhat successful battle with one of the nastiest forms of cancer. He was often found yelling “you gotta go” to his son at wrestling meets, being the announcer at his youngest daughters soccer games, painting some magnificent drama sets for his older daughter, smiling and playing with his 5 grandbabies, and loving his wife to infinity and beyond. Aside from his family, his greatest accomplishments include rebuilding his relationship with his brother and his ultimate love for Jesus Christ. Vancil is survived by his wife and high school sweetheart of 34 years Lisa Shew Smith; his children Samantha (Rob), Caitlin (Mitchell) and Ian (Kelsey); his 3 grandsons Brian, Vancil, and Oliver; and 2 granddaughters Marlea and Scarlett; his brother James (Sandi), and Nephews James (Rachel) and Cody 9Stephanie). He was preceded in death by his father-in-law Marvin Shew, his parents W.C. and Ellen Ann Smith, and Faithful dog Amigo. The family of Vancil would like to thank Southern Care Hospice and Comfort Keepers for all their support and guidance in the final stages of life. His battle with cancer may be over, but Vancil is the ultimate victor and is dancing his victory dance with God and his family. The family suggests that in lieu of flowers, donations may be made to Southern Care Hospice or Hux Cancer Center. Memorial services are scheduled for Saturday, March 30, 2019, at 1:oop.m. in Greiner Funeral Home, 2005 North 13th Street, Terre Haute, Indiana, 47804. Pastors Dan Willis and Mike Hester will officiate. Family and friends are invited to come to the funeral home on Saturday, from 11:00a.m. until service time to share memories and visit.